This Norfolk Lodges page is a growing selection of self-catering Norfolk lodges, chalets, resorts, holiday parks and breaks around the beautiful county of Norfolk. These are dog friendly self-catering holiday lodges or chalets which you can rent any time of year. There is so much to do in Norfolk throughout the year, so don’t just wait for the summer months to book! Don’t forget that in the winter, the beaches are empty and there are wonderful walks too. This is a brand new luxury lodge resort and spa in Mid Norfolk, close to King’s Lynn and Swaffham. Norfolk Woods has 80 luxury lodges, some with hot tubs, others dog friendly, and all with state-of-the-art kitchens, decking, ensuite bathrooms with the double bedrooms, on-site bistro, spa, gym and pool, tennis court, table tennis and much more. Read more about Norfolk Woods here. 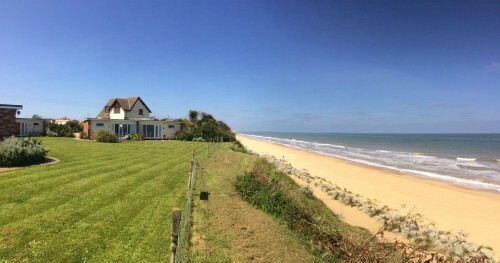 Beachside Holidays Norfolk is a very small privately owned exclusive holiday park with a versatile choice of properties; a main house called Beachside House, 6 chalets and a log cabin. All of these properties are perched on the top of the cliffs above the unspoilt and uncommercial Scratby beach and everyone of these properties has a wonderful sea view. This is a little gem of a private holiday park in Norfolk. 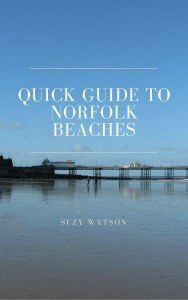 Read more about Beachside Holidays Norfolk here.